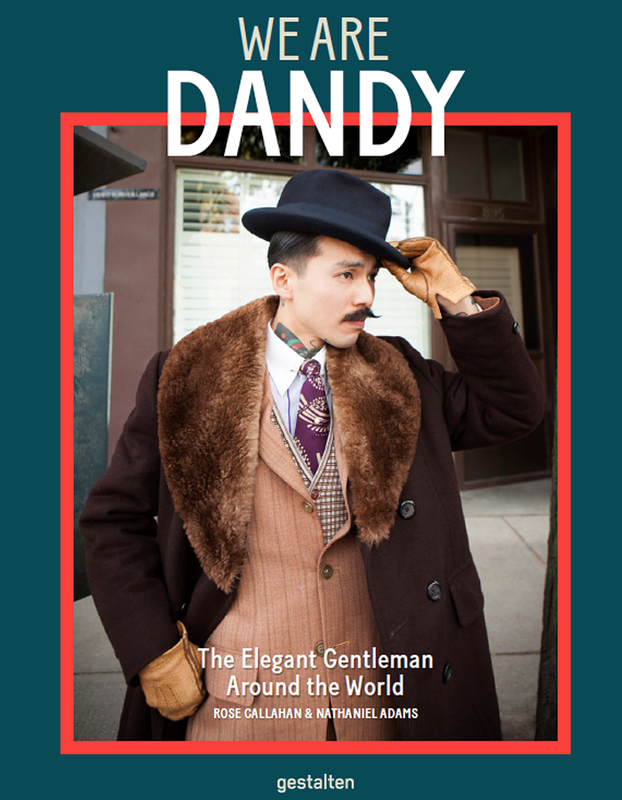 The Dandy Portraits: The Lives of Exquisite Gentlemen Today by Rose Callahan: Do You Know Scavini? 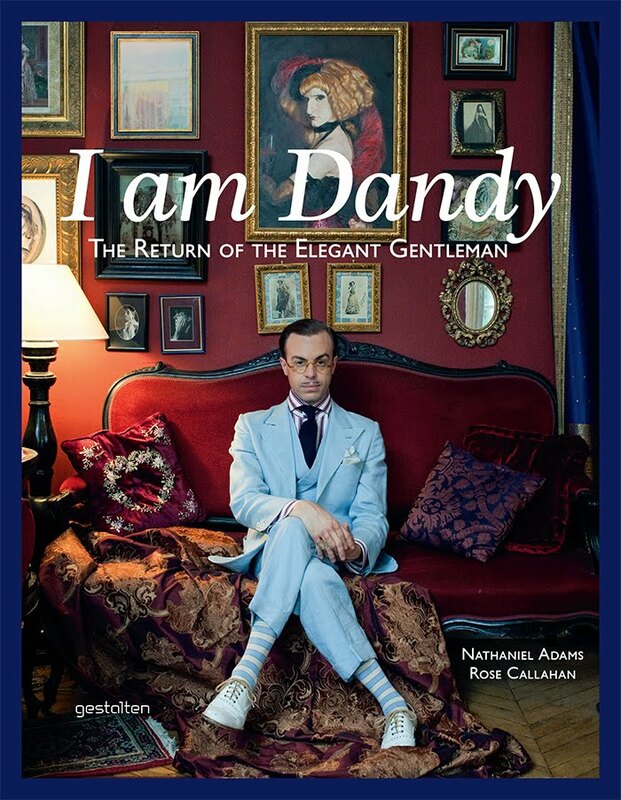 On our last visit to Paris - for the I am Dandy book launch - Massimiliano invited Kelly and I to meet his tailor...and irresistible prospect! We walked up the exceptionally wide open, and very-quiet-for-the-middle-of-the-day Boulevard La Tour-Maubourg around the corner from Les Invalides. From the clear view on the boulevard we could spot Massimiliano several streets away walking quickly towards us with his happy gait. 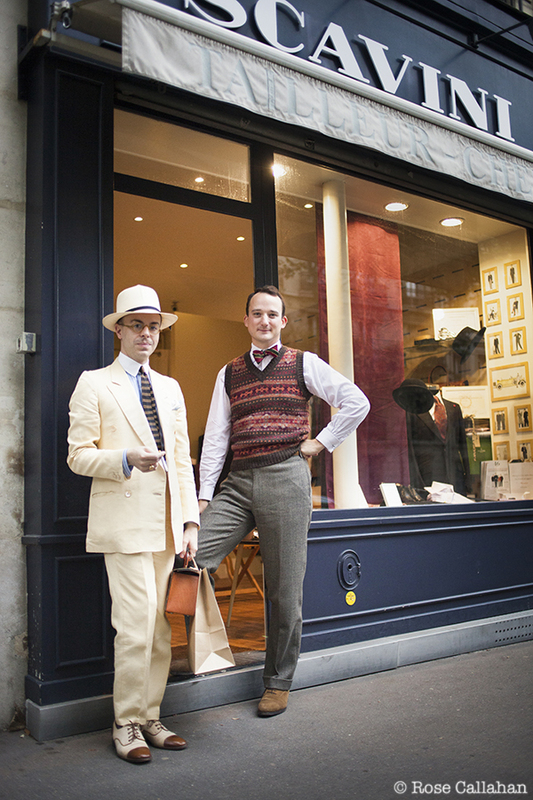 He joined us and we went in to meet Julien Scavini, proprietor of Scavini Tailleur. I don’t think any of you would blame me if I expected to see an old Italian man hunched over a work table, would you? 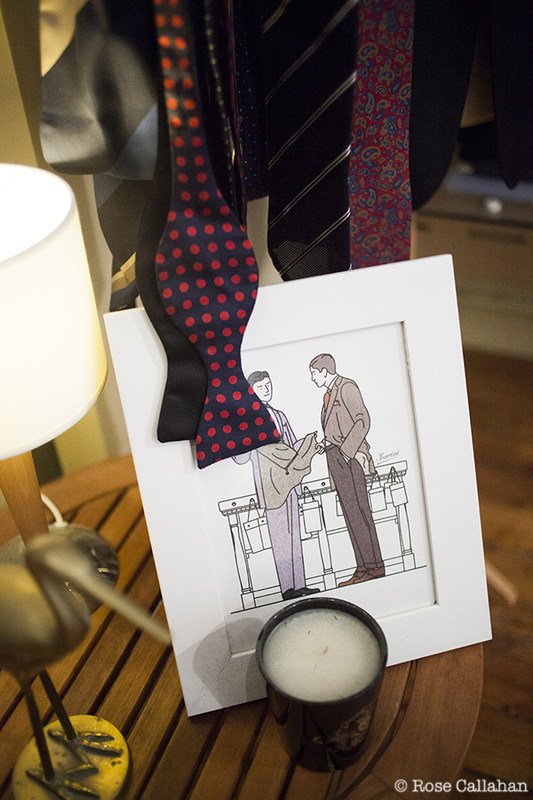 Who we met was a gracious, fresh-faced young French man who has set up a fastidious and charming menswear atelier. 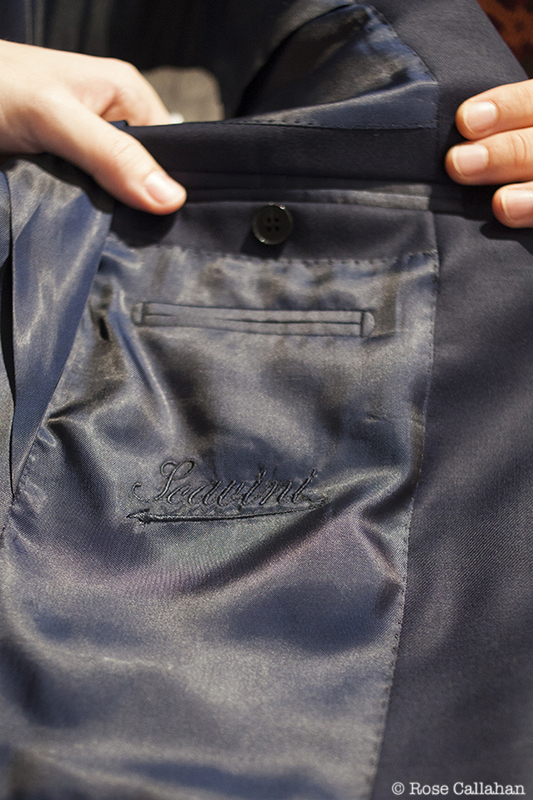 His specialty is made-to-measure, which he has made by a small family workshop in, get this, northern Italy! 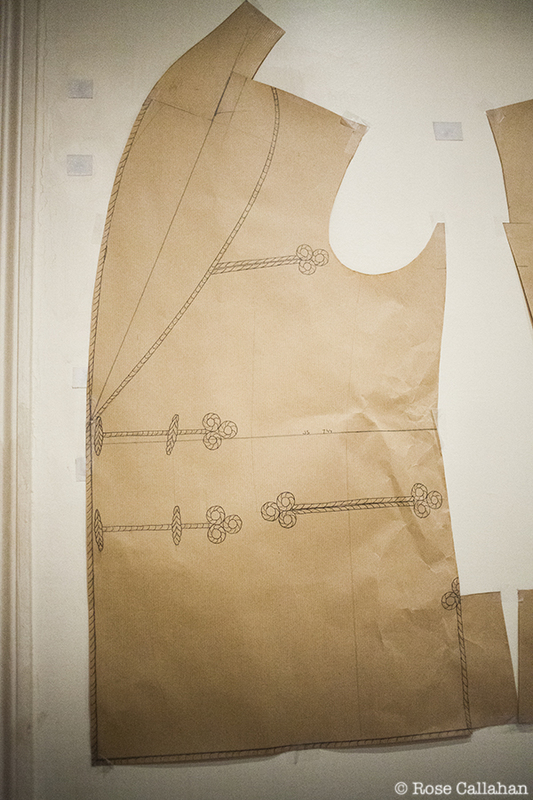 Scavini’s passion for tailoring developed after he came to Paris (from his home town of Biarritz) to study architecture. As a lover of classical architecture, towards the end of his studies he grew weary of the over emphasis on removing “old thinking”, and using technology to innovate. 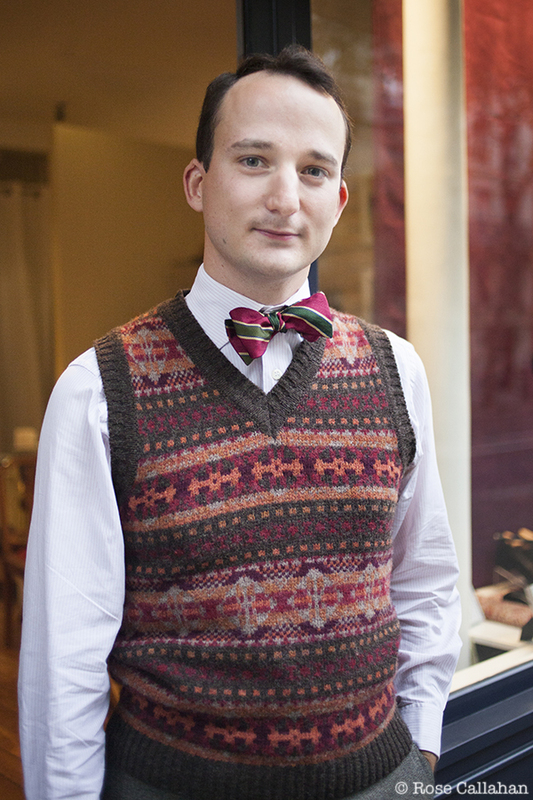 He always loved menswear, so he decided to do his thesis about a Hackett shop. “It was very funny,” He says. 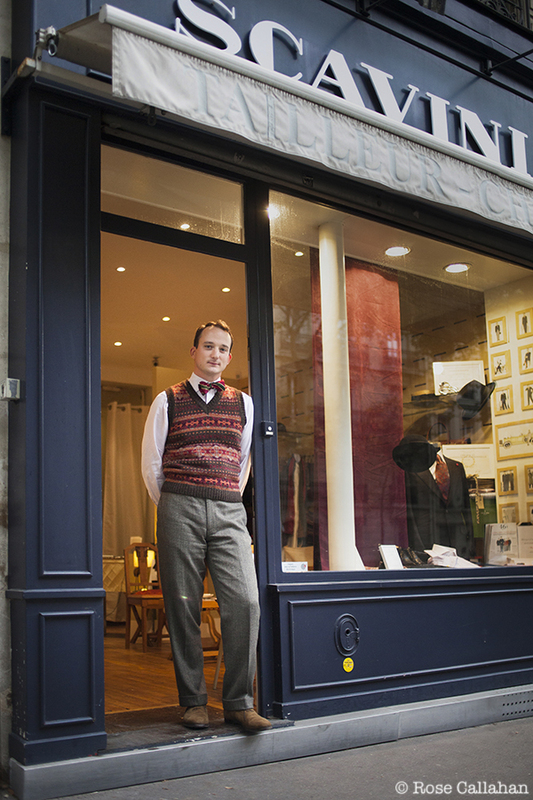 After his graduation he started an apprenticeship with master tailor, André Guillerme-Guilson. 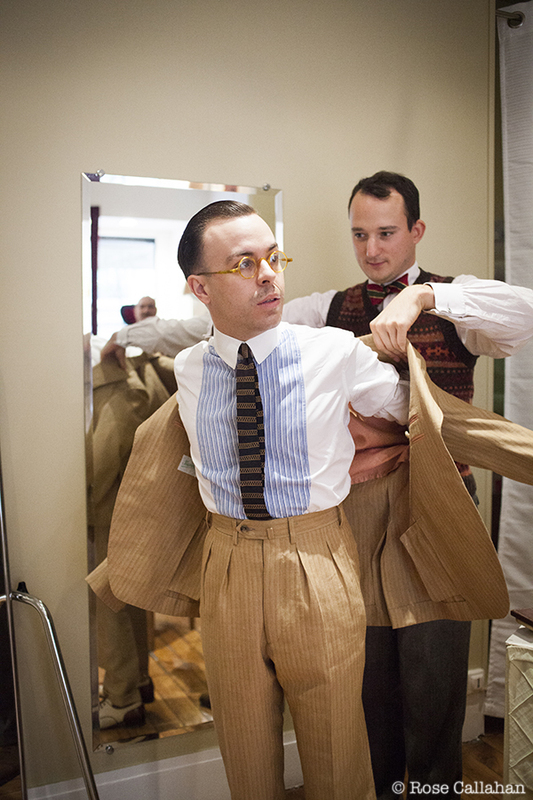 He spent a year with Guilson at the l'Association de Formation Tailleur learning the art of tailoring, and, although he is not a cutter, he can make a jacket “from A-Z” by hand. 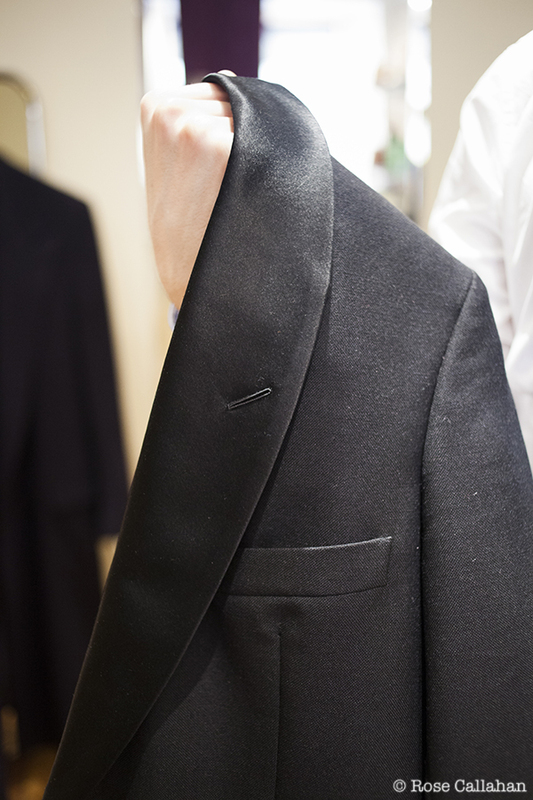 Scavini brings this keen understanding of tailoring, and a very discerning eye for detail not only to his shop, but to his blog Stiff Collar, which he started in 2009 while studying with Guilson. Stiff Collar is a wealth of information and inspiration, and what you will immediately notice - even if you don’t read French - are his charming illustrations. Scavini tells me started drawing during his architecture studies, ironically using his ArchiCad software to express the universe that inspired him - 1930s England, Hercule Poirot, classic tailoring, etc. 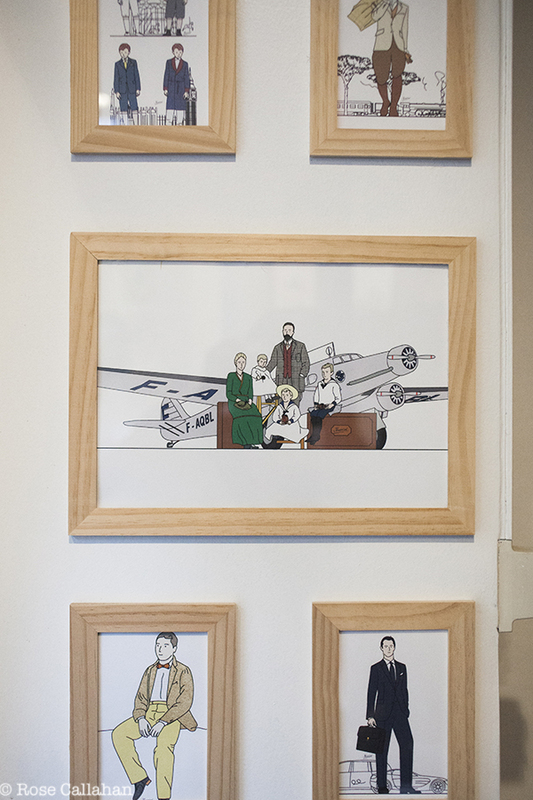 With their thick black outlines, one can see his artwork has been inspired by classic comics like Tintin, Blake and Mortimer, and illustrator Jean-Claude Floch. Small framed prints of a selection of his artwork are on the walls of his shop, and it adds to the ambience - classic, understated, and a little modern in that practical way I like. Apart from visiting Stiff Collar, you can see Scavini’s illustrations in Figaro Magazine, and in a soon to be released fully illustrated book on classic wardrobe (title and link to come!). He also will star as a tailoring specialist in an upcoming French TV show called Cousu Main (Hand Sewn), an adaptation of the English reality/game show The Great British Sewing Bee. It premieres Aug 30, 2014 on M6 in France. 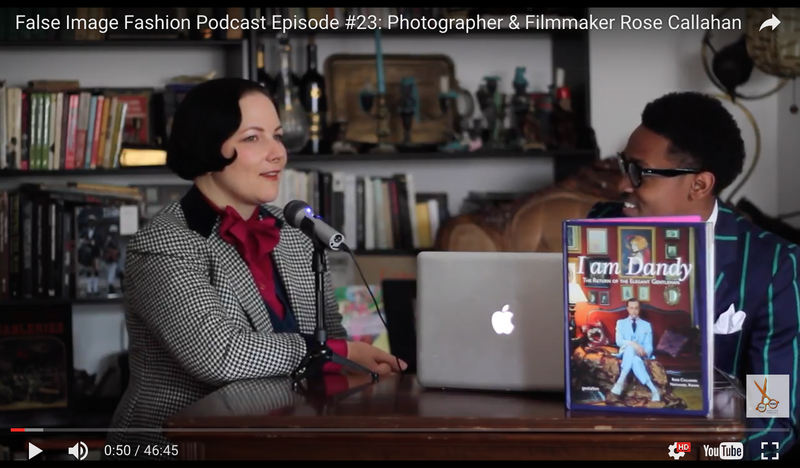 It appears we will be seeing and hearing a lot from Julien Scavini! By pure chance, a few weeks ago, I stayed at a small hotel near Les Invalides. I was taking a late afternoon stroll when I chanced to walk in front of this very place... I was tempted to go in just to say hi but somehow it didn't seem correct. Afetr all, I don't live in Paris and I wasn't going to be commissioning anything.